Long Shot is YOUR ticket to the track. In this exciting family-friendly horse racing board game, up to 8 players bet, buy horses, and strategize as the race unfolds. 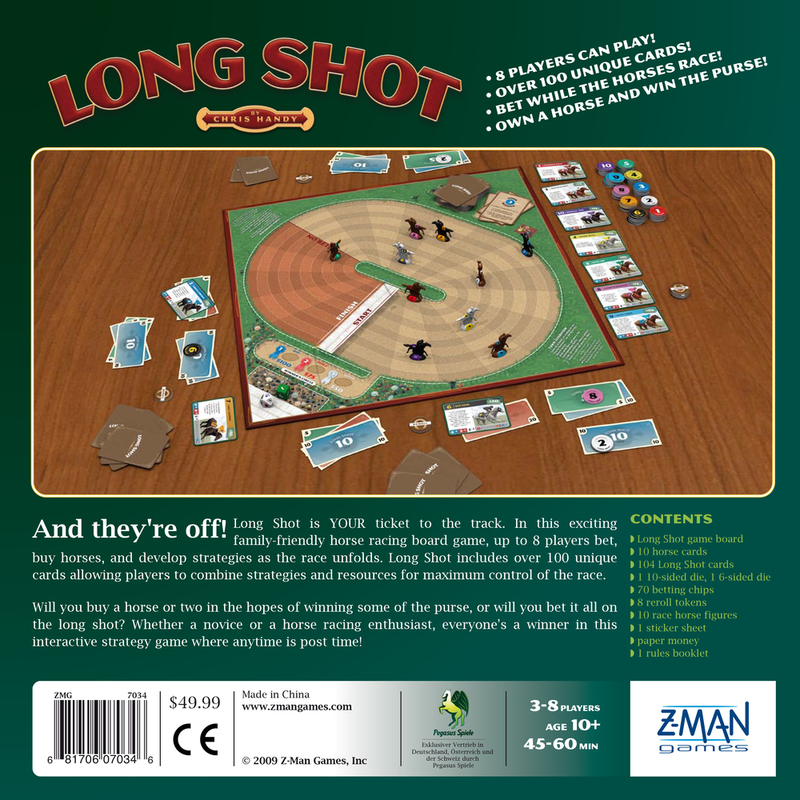 Long Shot includes over 100 unique cards allowing players to combine strategies and resources for maximum control of the race. Will you buy a horse or two in the hopes of winning some of the purse, or will you bet it all on the long shot? Whether a novice or a horse racing enthusiast, everyone's a winner in this interactive strategy game where anytime is post time!